As you know, there is a testing for PCB that was manufacturing by PCBGOGOin Huizhou lear laboratory, which is one of the most dynamic independent and authoritative third - party organization in China. At the same time, PCBGOGO had made public the testing report. On the one hand, the testing was doing the thermal stress for two days in the PCB reliable potion center that belongs to the Huizhou lear laboratory. 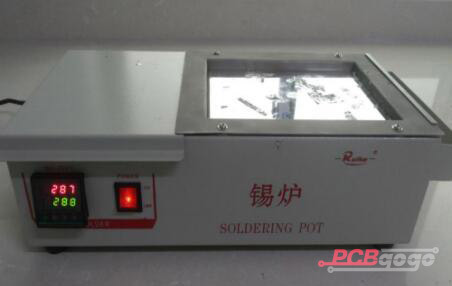 For example, a testing way for printed circuit board with GB/T 4677-2002, to bake the board with 130℃ for two hours，10s floating tin for 5 times under the thermal stress of 288±3℃。It can be observed for the surface and slicing after doing the thermal stress. On the other hand, the testing result was coming after doing the thermal stress experiment, and it can be seen that there is no blistering, delaminaton and other situation on the surface of PCB. What’s more, it looks good for circular hole, and no cracking in the hole copper, no separating in the hole wall. 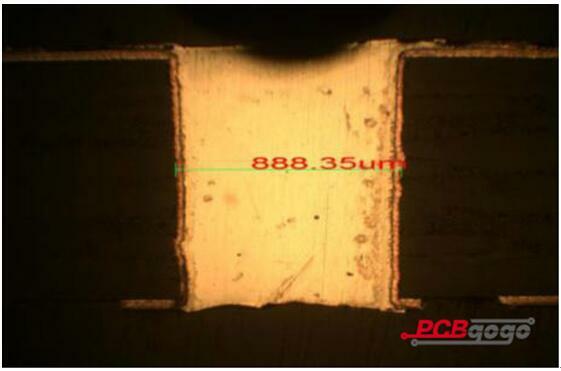 There is a final conclusion report that the thermal stress of PCB is 288±3℃， it looks good after 10s floating tin for 5 times. 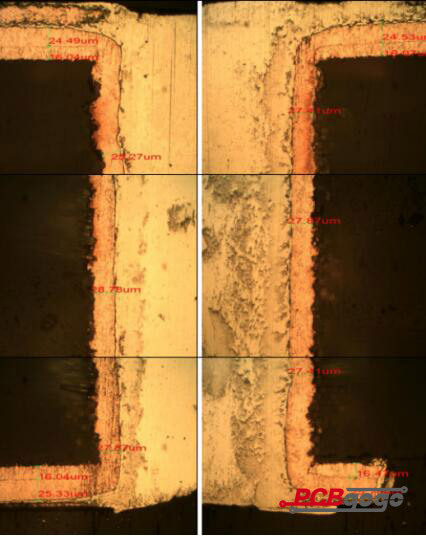 Using the testig figures given above, it can be seen that the normal thickness of PCB base copper is 0.5OZ (17um ) in PCBGOGO, it still had the base copper thickness with over 16um, scrubbing after drilling, the tolerances is minimal, and up to A standard. PCB surface copper thickness is 24.49um-25.76um, whole copper thickness is up to 41.37um-42.17um, it does well in the thickness of PCB, at the same time, the thickness is far beyond 35um ( 1 OZ ), and it’s better than PCB industry average. The thickness of hole copper is up to 25.27um-28.78um, what’s more, adhesion is good, and it’s higher than 18-22um for the international standards of IPC-6012. Prev: What is surface mount technology (SMT)?